Photos by Hannah Hola - how are we all? 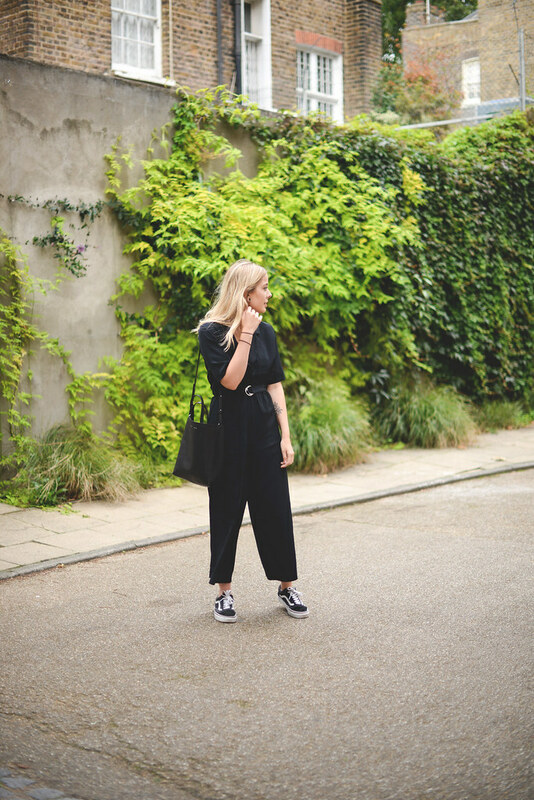 Back atcha with another outfit post, this time a super simple jumpsuit that I picked up in the new Weekday store on Regent Street with a gift card I was sent for the opening (well worth a visit if you're local). I'm really into easy to wear, throw-on-and-go kind of outfits at the moment and this paired with some Vans and a nice handbag seems like such a simple option. What do we think? In other news, and repetitive at best, I'm trying to crack on with YouTube again after finally receiving my new lighting so it doesn't look like I live in a cave anymore. Find me here. I don't think I could pull off a jumpsuit and pair of vans as well as you, but I'd love to try! You look gorgeous! This jumpsuit truly looking great! I like the dark shade how to intriguing this takes a gander at road side. love dressing down a jumpsuit with my Vans! wish i had a local Weekday - asos with do for now!